Readership of Times of San Diego grew 17 percent year-over-year to reach nearly 204,000 people in July. The most popular article of the month was about the USS America ready group’s departure for a Pacific Ocean deployment with over 28,000 views, followed by coverage of a long-time Comic-Con vendor‘s decision not to attend with nearly 11,000 views and a tragic DUI crash on the Rincon reservation in North County with nearly 2,000 views. The audience of the three-year-old independent news website continued to be young, local and mobile in the latest month. 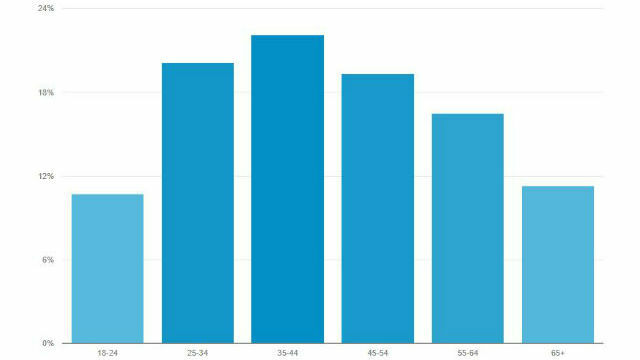 Readers aged between 18 and 44 accounted for more 53 percent of total readership, giving the site a significantly more youthful audience than enjoyed by newspapers and broadcast television. Nearly 28 percent of readers were in the City of San Diego, 14 percent elsewhere in San Diego County and 10 percent elsewhere in Southern California. The balance were national and even international, especially in the case of articles about the military. A total of 60 percent of reading sessions were on smartphones, 9 percent on tablets and 31 percent on traditional desktop and laptop computers. Articles on the site automatically resize to fit whatever device a reader is using, and are optimized for Google’s Accelerated Mobile Pages project. The website is free to readers and offers a newsletter with top stories sent at 8 a.m. daily.